You can never go back, they say. Everything changes and nothing will be as you remembered. But that doesn't stop travelers from going to class reunions, military unit reunions and touring their childhood home towns. 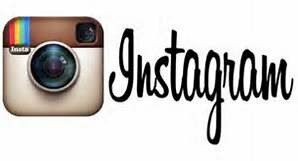 Is it all reminiscing or can the journey to the past be much more? I don't go to class reunions but this reunion piqued my interest. 25 years ago I founded a very special walking club in Santa Clara County, California... 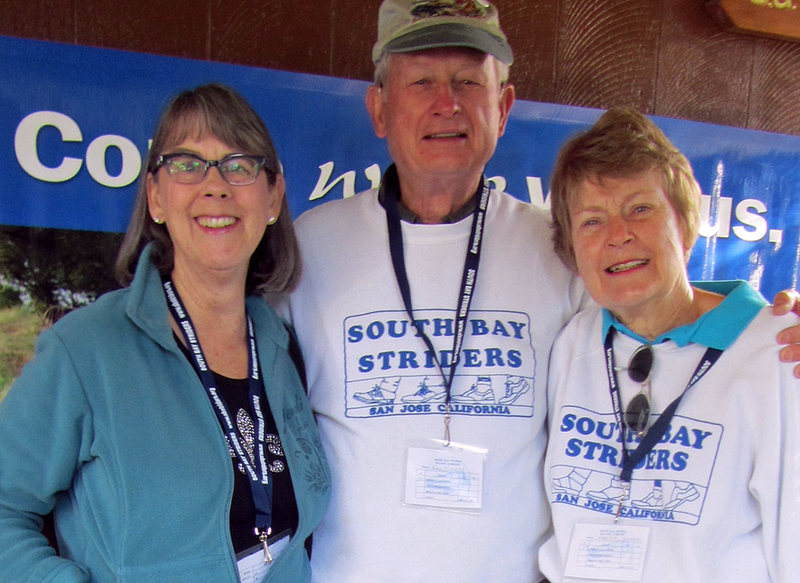 The South Bay Striders. 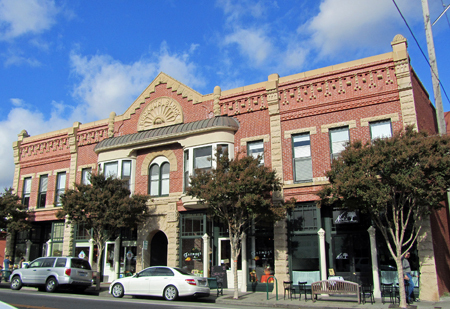 Our first walk was in the quaint, historic town of Los Gatos. Founding member, Helen, researched all the lovely Victorian homes and wrote up a turn by turn description for this historic walk. I once lived in San Jose and loved going to Los Gatos to walk that six mile historic walk route and then reward myself by sitting in a sidewalk cafe thinking about how much fun our walking sport, called volksmarching, was in Europe. After living in Europe for three years, I had some trouble adjusting to the strip malls and fast food joints of San Jose and loved getting away to Los Gatos which reminded me of a European village. Walking helped me adjust to a new community, gave me and my family some fun outings, and enabled me to make new friends. 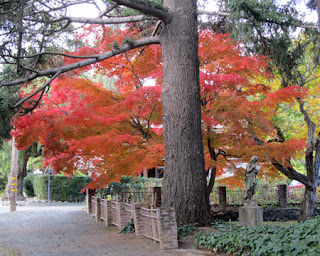 The club provided interesting walks and a great social outlet. 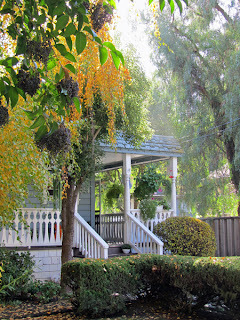 So when I received the invitation to the 25th Anniversary celebration, I thought it would be a great way to see Helen again, reconnect with the people who walked with me on those trails many years ago and explore the post-earthquake (1989 Loma Prieta) Los Gatos. 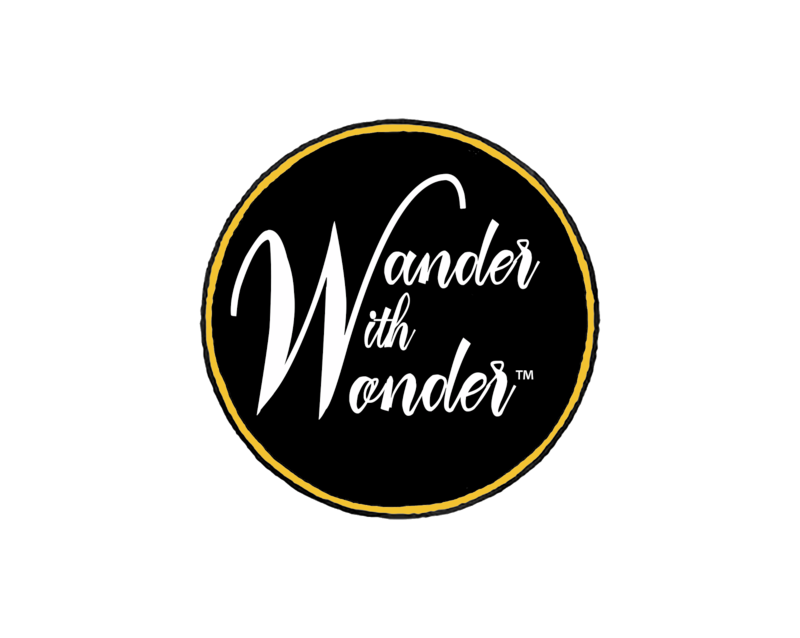 Although I am not much for reminiscing, I wanted to experience the weekend with friends whom I had met as we formed the non-profit walking club. And, I was curious about how the area had changed. I flew in to SJC, San Jose's Mineta Airport, and was amazed by the size and high-tech feel of the terminal. Oh yes, this was now the center of Silicon Valley, not the sleepy agricultural town of San Jose! My friends, Ken and Helen, met me (they hadn't changed a bit) and we were off through San Jose. I no longer recognized the terrain as new shopping centers had sprung up. Soon we were on Hwy 17 and then I recognized the trees, the green highway signs and knew which exit to take to downtown Los Gatos. 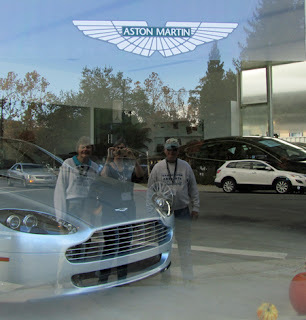 We drove slowly down the main street of Los Gatos so we could comment on what was new and what was old. I looked forward to exploring the boutiques and stores lining the streets. We passed an enormous electronics store selling iPhones in a stark contemporary setting, slightly out of place for this street full of frou-frou decorator stores and upscale boutiques. Some things were the same and some were different, but I have to say that the changes were enticing. The town had kept the upscale boutique type look but the fashions were all current. There were no big box stores that I could see. People strolled the sidewalks just as they did 25 years ago and it was clearly a draw for young professionals and their trendily dressed offspring. I was chomping at the bit to explore the treasures of this little town but first, a well-needed rest. I could have stayed at the Los Gatos Garden Inn, which is where we stayed in the "old days." It didn't look like it had changed much. But enough of trying to re-live the past. I was excited about today. I opted for a new, beautiful Tuscan-style hotel just across from the Los Gatos High School. 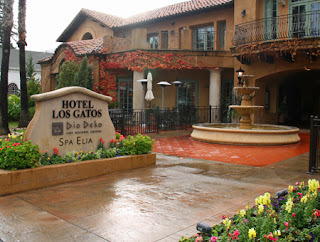 Hotel Los Gatos & Spa was just down the street from the main shopping and dining areas and was not far from where our celebratory walk event would take place the next day. I enjoyed the warm Mediterranean decor, comfortable suite and excellent service. I was glad to experience the new hotel in Los Gatos and leave my memories behind. I dined in the adjacent restaurant, Dio Deka that night. The cuisine was excellent. 25 years prior, we thought dining at The Chart House in a renovated Victorian (previously a funeral home) was the best place to go to celebrate special occasions and it was... then. I noticed that the restaurant had been taken over by another. Things do change and evolve as time goes by. After enjoying the lamb dinner at Dio Deka, I had to say that things had evolved well in Los Gatos and, after 25 years, my tastes had become more discriminating. 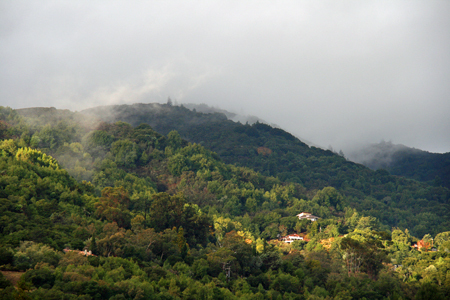 Walking Los GatosThe next day I awoke to mist hanging in the Santa Cruz Mountains. It was a beautiful sight. The air smelled of redwood trees and the rain that had washed the foothill town over the night. I met my friends at "Never Never Land," a small cabin used by the Boy Scouts on a piece of property behind Los Gatos High School. It hadn't changed a bit! Some of the club members had aged, but so had I!. The walking event was held in the same manner as we held it 25 years ago. Register, sign a waiver and go out to follow a marked trail. After a brief session of reminiscing and looking at some old photos, we chose the 10K trail and, accompanied by the original planner of the event, strode out down memory lane. Or, in my case, on a trail of discovery. 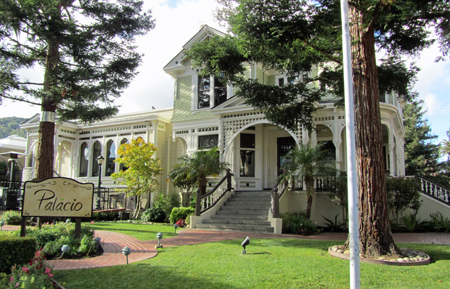 As we walked, we noticed that elegant Victorian homes, once brought to their knees, shaken and broken by the Loma Prieta quake, were now freshly painted and new looking. Homes, still historic with the tell-tale Los Gatos cat bell plaque beside the door, were remodeled and beautiful. We found the route to be a new experience. We quickly became tourists in what once was a familiar town, enjoying the gorgeous homes and quaint shops. Only occasionally lapsing back to what used to be, we found ourselves thoroughly enjoying the sunny fall day, admiring the depth of color in the fall leaves and stopping for lunch at a Mexican restaurant. Our day became more of an exploration of a lovely town and less a walk down memory lane. As a travel writer, I found so much material for future articles. 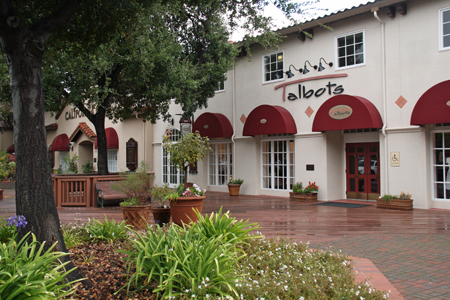 I decided that Los Gatos was a destination for those wanting to explore this part of California, for shoppers and discriminating diners. There was so much to think about and explore that memories remained faded and new memories were made. What I discovered that weekend was that my original walking club friends were still great people to be with. As I had grown and changed careers, so had they. They were vibrant, interesting people and our talk of the past soon changed to the current. The reunion was just a vehicle to get me back to California to explore Los Gatos and to have friends to enjoy the experience with. The older I get the more I appreciate the reunions that bring long time friends back into my life. A great Memory Lane tale you told in this one. Our friends live in Los Gator and I always look forward to meeting down there (I live on the SF Peninsula) for dinner since there are so many wonderful choices. In fact, we had dinner at Dio Deka -- loved it! Glad that your visit and reunion were a success. I have been attending college and high school reunions for some years now. One of the things I've found most rewarding at reunions is not visiting with the few people I've kept in touch with over the years, but meeting people I shared the time and space with lo those many years ago, but who I never knew when I was a student. Two of those new people, with an old thing in common, are coming to visit me next week! Talk about a stroll down memory lane, we lived in San Jose for 33 years! And the Chart House was really good! It's a great achievement to have a group you organized still functioning. This sounds like a delightful reunion, Elizabeth. Reminds me of my return visit to Ottawa after several years away, much had changed but much remained the same. 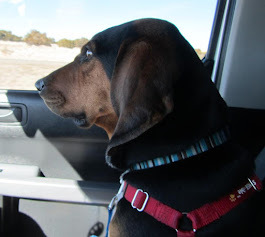 I came to on the Trip Down Memory Lane post by Boomeresque. This was really well written and I enjoyed the pictures :) I remember the Loma Prieta quake very well as we felt here in Reno, Nevada that day.